There are many pathological conditions that cause mobility deficits and that ultimately influence someone’s autonomy. To overcome these difficulties implies the patient’s involvement and professional action, namely from a rehabilitation nurse, whose target is to capacitate the patient. The person can be capacitated and reach quality of life through organized and systematic rehabilitation programs, which can result in health gains. Aims: to evaluate patients with mobility deficits functional status; to implement a Rehabilitation Nursing intervention plan; to monitor health gains through mobility deficits rehabilitation; Method: Cross-sectional study, action research approximation. Non-probability sampling, 9 patients admitted at an Intensive Care Unit and at a Stroke Unit who fulfilled the inclusion criteria. The intervention plan included two moments of formal evaluation: the initial (T1) and the final (T2) that relied on specific instruments. Results: improvement and solving of rehabilitation nursing diagnoses, increased balance and better transferring ability. Data suggest that the implementation of an intervention plan decreased the level of dependence. 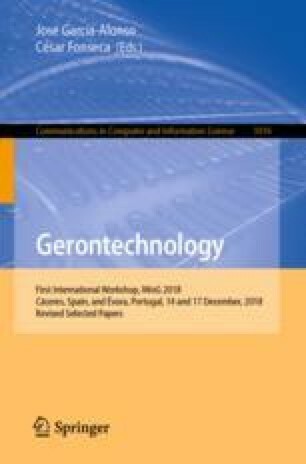 Conclusion: Early intervention and the implementation of a nursing rehabilitation intervention plan results in health gains (direct or indirect), decreases the risk of developing Pressure Ulcers (PU) and the risk of developing a situation of immobility that affects patients’ autonomy and quality of life.